Limestone and clay samples were collected from Darukhula and adjoining areas of the Nizampur District, Nowshera, N.W.F.P., Pakistan, and analyzed for different parameters in order to search for new reserves of suitable material for the manufacture of different types of cements in N.W.F.P. It was found that the area under study contains three types of limestones, including high grade limestone, Darukhula limestone and siliceous limestone, which contain 53%, 49.03% and 45.19% CaO, respectively, and three types of clay, including maroon color, yellow to yellowish-green color and green color clay containing 57.76%, 65.47% and 61.24% SiO2, respectively. 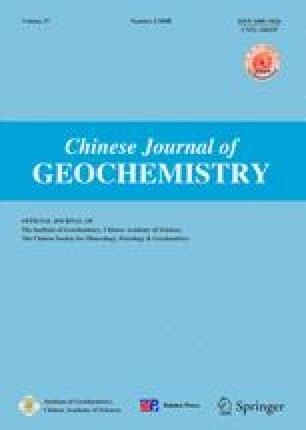 Chemical analysis of the limestone and clay samples collected from the deposits in the area under study showed that all the elements found in these samples are within the range of permissible limits for the production of high-strength Portland cement, sulphate resisting cement and white cement. This paper covers the detailed version of the potential raw material deposits at Darukhula and adjoining areas of the Nizampur District.